Our annual reunion, recently held in Austin, Texas, is our favorite event of the year because it brings together nearly every DreamMaker owner nationwide for friendship, fellowship and celebration. But amid the festivities, there is a strong focus on ways to improve the remodeling business for each of our franchisees. That’s why, every year, we bring in industry thought leaders to share insights. 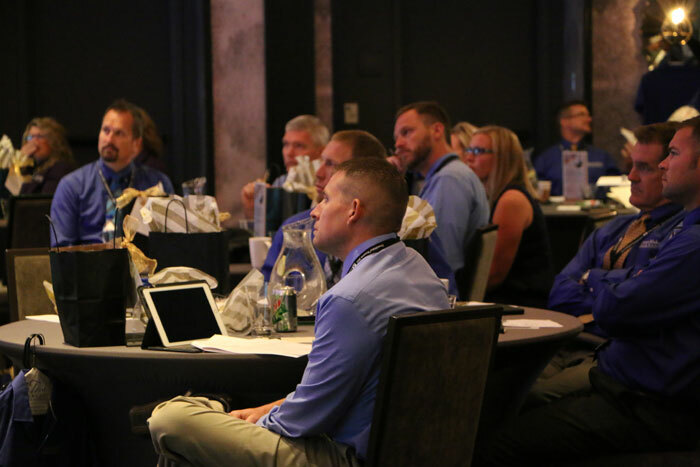 This year’s speakers shared lessons in consultative sales, intentional leadership and how fast-emerging virtual reality created new opportunities for remodelers. Jan Neiges speaks about ways remodelers can deliver a better customer experience throughout the sales and design process. She encouraged remodelers to position themselves as problem-solvers who can guide the customers through the process of bringing their dream to reality. The key is active listening, and taking the time to understand what buyers are hoping to achieve. 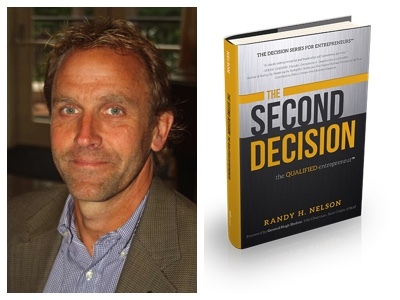 Randy H. Nelson is a former nuclear submarine officer and successful businessman who now coaches and mentors entrepreneurs. Nelson, CEO of Gold Dolphins LLC, led a session based on his Amazon best-selling book, “The Second Decision – The Qualified Entrepreneur.” He has grown two companies to more than $10 million in annual sales. 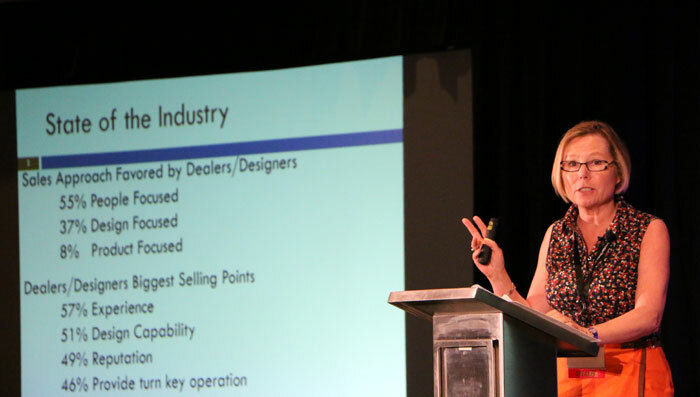 Nelson challenged the audience to list the defining characteristics of entrepreneurs and CEOs, and to identify which traits each DreamMaker franchisee exhibited in their business. What was lacking? Where might their leadership skills need to be further developed? Where should they focus their energy, and where should they delegate, in order to achieve stronger results? DreamMaker Bath & Kitchen franchise owners listen during a training seminar at the company’s 2016 Reunion. And, critically, how do you measure success? He cited one of his former companies, Orion International, to make the case for tracking metrics, especially related to average revenue generated per employee. As businesses grow — and DreamMaker average franchisee revenue grew 68% from 2011 to 2015 — there is a tendency for average productivity to fall, Nelson said. By understanding the numbers, remodeling franchise owners can spot these trends early and take steps to correct them. DreamMaker’s business coaches and Next Level Groups help franchisees stay on track. 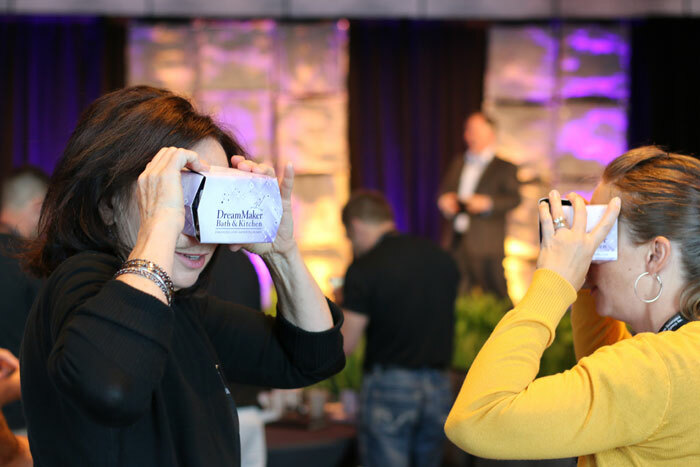 For a 360-degree view of what DreamMaker franchisees were looking at, click here. View the link on your smartphone for a better experience. With VR goggles, it looks like you are actually in the room. John Morgan, a sales consultant and former president of the National Kitchen & Bath Association, stressed the importance of embracing new marketing approaches — and technology — to reach customers. One of the biggest technology innovations that is in the rapid adoption phase is virtual reality. Gaming giants PlayStation and Xbox are racing to bring VR game consoles to the market this year, which will ensure that virtual reality goggles are in the homes of many potential customers. Cheap versions like Google Cardboard — which cost as little as $15 — can deliver a similar experience when paired with the smartphones customers already own. Remodelers can use their CAD design skills to provide customers an immersive view of their soon-to-be-remodeled kitchen and bathroom. Not only is this a great sales tool — it also offers customers an opportunity to request design tweaks upfront, reducing change-orders and surprises that can cost time and money. Remodelers can also photograph their completed projects in 360 degrees and create a Virtual Reality gallery that customers can explore. The opportunity to differentiate yourself from competitors is incredible. And it doesn’t have to be expensive to pull off! DreamMaker’s annual Reunion is just a small part of the support we provide franchisees to help them continually improve their remodeling businesses and generate stronger results and a higher quality of life. To learn more, fill out a form to download our free franchise report and start a conversation!